Thought-provoking civil commentary - usually tempered with a bit of humor - for a dose of sanity on current events, military matters, politics, arts and sciences, and life in general. Today's commentary is a replay - a horror picture but non-fiction fitting for the day and night. 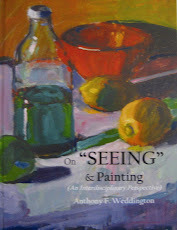 It is, arguably, more relevant than when first published (about a week more than three years ago). This morning's headlines about the release of thousands more of Hillary Clinton's email(s) with at least hundreds compromising classified material, and that exchanges between her and President Barack Obama would not be released (until he leaves office), disturbing. Of course they're hiding something - truth. And that truth is not petty white lies but high crime. Otherwise, why bother? Reality is that investigation(s) and hearings and witness queries, despite a Herculean effort (that included the president) to cover up and sweep, have produced the paper trail truth; lies fallen. The corruption and (high) crime ongoing in and across our government is frightening. The checks in place to assure balance party to. Hillary Clinton (and fawning monster cadre) with (stink) eye on our presidency is pulling from her bag of dirty tricks to treat - herself. We should all be scared to damn death! And dead we'll be if indifferent. Twenty-seven years ago a Marine lied to me. I've not thought much about that incident for a long time but for the past few weeks it's been on my mind daily. That Marine was a staff noncommissioned officer with 17 years of service. He was on his second tour of duty at Marine Corps Recruit Depot, Parris Island. He was assigned as a Senior Drill Instructor (SDI). For those not exactly sure what a SDI does - leads two, sometimes three, drill instructors and trains a platoon ranging in size from 60 to 75 recruits. The SDI is responsible for training the platoon - turning recruits into Marines. It is a damn demanding job but with commensurate reward. By all accounts he was a good drill instructor. One morning a copy of the law enforcement blotter (report of Marines in some sort of trouble) was handed to me - the Marine had been involved in an alcohol-related incident handled by local civilian police. The misconduct was serious. Marine Corps directives specified commanding officer actions. Before doing anything, I directed the company first sergeant to pull the Marine's service record book - to determine any history of alcohol abuse or alcohol-related problems. A cursory entry on a single sheet of paper indicated he'd been involved in an incident in another state a couple of years earlier. While the first sergeant was tracking down the particulars on the service record entry, the Marine reported to my office. He told his side of what happened - parts of his story matched the blotter. He denied any past incidents so I asked about the vague entry in his service record. He looked puzzled and denied. I handed him the piece of paper. He studied it, stood quietly for a moment, and said it was not him (he had a common name). He was adamant. Assuming he was truthful, I momentarily dismissed him. Within an hour or so the first sergeant reported he'd gotten to the bottom of the service record entry. He traced the entry to the state police in another state. The Marine had indeed been involved in another serious alcohol-related incident that resulted in civilian and military punishment. Those records had been removed from the Marine's service record book. The state police faxed a copy of the documents. That paper led to tracking down copies of military records. There was no mistake the records matched the Marine. I summoned the Marine back to my office. I asked if he was standing by his story the vague piece of paper in his record was not him. He said yes. I handed him the documents from the police in the state where he'd previously served and asked if he could explain it. He was quiet for an uncomfortable amount of time, looked me in the eye, and then denied it was him. From his body language and facial expressions it was clear he was not telling the truth. I told him lying to me was a big mistake, more problematic than his misbehavior in town, and that I would give him an opportunity to recant and only pursue those administrative and disciplinary actions against him as required by Marine Corps orders. He stood by his lie. I then asked if he'd be willing to make a sworn written statement to his story. He agreed. I dismissed him from my office to do so thinking some time alone and writing would bring him to his senses. It did not. The Marine returned to my office with his sworn and signed written statement. I extended one last opportunity to recant. He would not. Nor was he truthful with the battalion sergeant major - who'd asked for a few minutes to speak with the Marine. This was a serious matter that required involvement of higher authority. I briefed the battalion commander. He referred the Marine to Special Courts Martial - the Marine was relieved of duty pending outcome of the trial. That court convened within a week or two. Advised by counsel, the Marine opted for trial by judge rather than a jury of his peers. I testified at the courts martial - the judge questioned me as to the sequence of events and my actions. I laid it out for the court just as told above. The defense did not question me. I was dismissed. Within a couple of hours the proceedings were over. The judge's punishment was a bust to private, forfeiture of all pay and allowances, and a Bad Conduct Discharge. The Marine returned to the company area to retrieve his personal gear, and I happened to see him. I asked if in hindsight the lying was worth it and if he had opportunity to now recant would he? Looking me squarely in the eye his reply was disturbing, "No sir. If I thought I could get away with it, I'd do it again." I was dumbfounded. So was the company first sergeant. 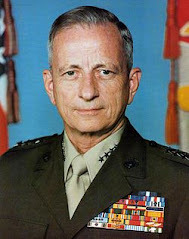 As was the sergeant major - who later became Sergeant Major of the Marine Corps. That Marine was not only training recruits he was training new drill instructors and young officers. Imagine. Thank god we caught him. Actually, he caught himself - his behavior and lies fell to the paper trail truth. Why did I tell that story? We have a far more serious situation, a grave one, going on with our country's leadership - from the president down and who knows how far. As to the terrorist attack and murder of four Americans in Benghazi, Libya, on September 11th, 2012, they've all lied. And having had multiple opportunities to recant, to tell the truth, they have continued to lie. Now documentation (and surely more to come) is before the public eye that shows a big lie told and is continuing to be told to the citizenry. And it's known that not only did the leadership have forewarning of the attack they had real-time visibility as it unfolded and played out. President Obama, the commander-in-chief, is in the thick of it - and he's sworn to protect America, and Americans - wherever they may be. What was his next move? Vegas, baby - a campaign/fundraiser stop. This is chilling. Yet most of America is still not getting the whole ugly story. Only thanks to one cable news outlet has the main stream media been shamed, forced, into coverage (though their "reporting" is weak and ho-hum apologetic for the president they wrongly protect). Now the administration's mad scramble is on to figure out a lie to explain the lies. And to find the innocent scapegoats. Most likely there will be public "hangings" next week. After all, the president must appear strong and in charge before Election Day. Americans who should not be dead are dead. The lie is done. The time for recanting past. It's time to hold all responsible accountable. Now the question is who in the Congress has the moral courage, to do their duty - to man up, to now confront the president and all others involved in this grand lie? With public outrage and assault on the offices of representatives and senators their moral choice made easy. "Investigations" are underway - conveniently not to be concluded before the election. And so goes an official obstruction of justice and cover to avoid the obligation to tell Americans the timely truth before the looming important decision day. But that's not enough. What happened in Benghazi was not just a tragedy. It was inexcusable negligence and incompetence by our leadership. And most troubling there was deliberate, carefully calculated deceit (e.g., citing a YouTube video as enciting a spontaneous riot) to sweep that negligence and incompetence. Negligence of duty is criminal. Incompetence, though awful, is understandable. But it does not have to be acceptable. Elected and appointed leadership, sworn to service, lying to America is intolerable. It's unacceptable - their character flaws and lack of fitness for continued public service exposed. Forgiveness is the American way but not until after justice is done. Furthermore, as a Marine I cannot find words to express the extent of disgust knowing fellow Americans, diplomats, were abandoned while outgunned and under an hours and hours long attack. By failing to act immediately and aggressively to help, what distinguishes our leadership from the attackers? That is, simply, their complacency was a force multiplier for the terrorists. Nauseating. These folks have shown their colors. Now their lies have fallen to the paper trail truth. But is there anyone who thinks they'd not lie again if believing they could get away with it? And what else have they lied to us about? So as what will surely be a token investigation crawls and likely never to matter, our citizenry will act as judge and jury on Tuesday, November 6th. How anyone of principle and conscience could cast a vote for an incumbent president engulfed in lies - a status completely self-inflicted - is beyond comprehension. One is known by company kept. And that axiom extends to voting for representation of self. Without absolute integrity in the Oval Office we, as a country, have nothing. And consequently deserve, without complaint, whatever malfeasance served upon us. Some will dismiss this Benghazi scandal as business as usual in Washington and the real code of ethics is anything goes just don't get caught. Further, there's the sentiments of President Obama being "likeable." A "likeable" dishonest president - who has his finger on the nuclear trigger? Standing by to hear the logic on that one. America now knows all it needs to know about President Barack Obama - he is not to be believed. He is not trustworthy. He has confirmed, through his own deeds and words, what many have long suspected and believed. So nothing he has to say over the next 13 days matters one iota. His failed presidency, too, an enormous factor though it seems small when placed alongside a serious void in character. So like that Marine whose services were no longer needed by the Corps, President Obama's services are no longer needed by America. If this election was not going to be a landslide for Mr. Romney, it should be now. 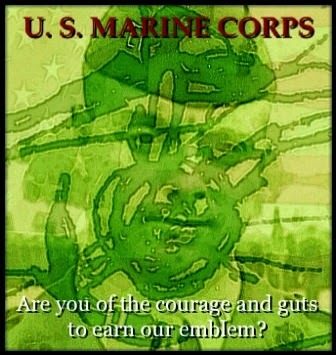 Long live the United States, and success to the Marines! 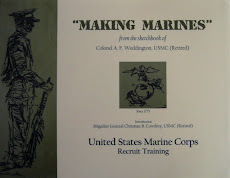 When I sat the company of officers and DIs down to explain the truth about what happened to the Marine, the unanimous sentiment was he got what he deserved. It was one among a few distasteful duties I had to do leading Marines, but it was for the greater good of Marines and the Marines Corps. And I'd handle it exactly the same way today. And so will I vote on Election Day - for the greater good. To a skilled and repetitive teller of lies the truth is merely an abstract thought. The truth is irrelevant as it does not serve to further a personal agenda and in fact can damage it. Obama and Clinton (not worthy of President or Secretary of State/Senator) live in a hazed world where they believe as long as they stay consistent in the lies and repeat it often, then it becomes truth. The truly sad outcome is that millions of Americans are buying it. In terms of Obama/Clinton, being found out doesn't matter; they are above the law. This is perfectly fine with at least one-third of our voting population, which worries me a great deal. Amazingly, the media still plays "gottcha" with aspiring candidates while it ignores and condones the high crimes of obama, clinton and the Cabinet holders of the US. The standards that they applied to "Watergate" should apply here. WELCOME - Thanks for tuning in! Comments welcome! Civility required--acerbic personal remarks and profanity not acceptable. Disagree? Then an intelligent counterpoint, on topic, not under the shell of anonymity required. Submissions in breach of good order will not be posted. Thank you. Note: All writing and artwork copyright protected. Thank you. Limited Edition of 232 numbered/signed w/ bound Certification page. Nearing sold out! AN AVERAGE GUY'S TAKE ON SAVING "2ND BASE"
Everyone, but especially painters, should SEE reality.